By Helen Wang, published February 17, 2017, 12:10a.m. The People's Republic of China has a population of over 1.38 billion. About 90% of the population is ethnically Han-Chinese, which means that about 10% of the population belong to ethnic minorities. That's over 138 million people! We invited Bruce Humes to tell us more about these people and their literature. This post is in two parts: the first part is a wonderful introduction to writing by and about non-Han peoples; and the second part introduces Chi Zijian's novel The Last Quarter of the Moon, translated by Bruce. I began to wonder: How do they view their “Other,” i.e., the Han? How do their writers portray the effects on their people as they inevitably come into more frequent contact with the outside world, attend school taught in Chinese, or migrate to the city? And how do Han authors use ethnic motifs and depict minority characters in their contemporary fiction? I decided to explore these questions via new literature appearing in Chinese, and launched my blog, entitled Ethnic ChinaLit: Writing by & about non-Han Peoples in 2009. There is no authoritative answer to how many distinct peoples/ethnicities (minzu) populate the PRC, but the authorities have decided to officially recognize 56. Exactly. Fifty-five minority ethnic groups, plus the Han. To give you an idea of how complex this issue is, according to Tom Mullaney’s Coming to Terms with the Nation: Ethnic Classification in Modern China, in the first census of the PRC conducted in 1953-4, over four hundred minzu were reported, more than half within Yunnan Province alone. What is clear, however, is that there are easily over one hundred languages — not just dialects of Mandarin — spoken by minority peoples in China, most have no written script, and many are endangered or on the verge of extinction. Incredibly, although there are 11 million ethnic Manchus, only 100 or so can speak Manchu fluently and less than a dozen read and write it well. See Endangered Tongues for the details. This state of linguistic affairs matters, because it effectively means that many of these peoples cannot tell their people’s tales in their own language, particularly in written form; either they must use Chinese to do so, or a native Chinese speaker must write on their behalf. In fact, many factors have combined to restrict the popularization of fiction and non-fiction by non-Han authors: A shortage of translators working into Chinese or foreign languages; a lack of ethnic writers who can write well in Chinese; and crucially, attitudes in China’s literary and academic worlds that have tended to devalue oral literature, a genre that has long been very popular among non-Han peoples. There is also the more subtle impact of state- and self-censorship that ensures certain “ethnic realities” are rarely depicted, be it in a magazine, book or online, in reportage or even fictional form. A Xinjiang-based Uyghur traveling on business who tries to book a room in Shanghai may be informed the hotel is full, or face interrogation from a policeman; A community of Mongolian herders may be forced off its traditional pasture land, with negligible compensation, to make way for a profitable coal mining project; A rural Tibetan dweller may be refused entry to Lhasa without a travel permit. These topics are contentious and perceived by the authorities as likely to breed "inter-ethnic" discontent, and are thus heavily censored. The good news is that a combination of relatively new but well-funded government policies to subsidize publication in Chinese and foreign languages, a new generation of better educated, bilingual ethnic writers, strong interest in minority cultures among Han authors and their young readers, and some overseas success stories, means that there is already a fair amount of ethnic-themed writing in print in various European languages, English and French in particular. Check out the Quick Guide to China’s Contemporary Ethnic-themed Literature in Translation for a long list with hyperlinks. Most of the works noted below are cited in the guide. Note the term “ethnic-themed.” This is a loose category (民族题材文学) that includes stories — regardless of the author’s ethnicity — in which non-Han culture, motifs or characters play an important role. Purists, or those concerned about issues such as cultural appropriation, would no doubt prefer to see ethnic writers taking the lead in telling the story of their own peoples. But the fact is that over the last few years several of the earliest novels featuring “ethnic” themes to be purchased and published by leading publishers in the West were penned by Han authors. Examples include Wolf Totem (Jiang Rong, translated into many languages), Une terre de lait et de miel (Fan Wen), Last Quarter of the Moon (Chi Zijian, in Dutch, English, French, Italian, Japanese, Korean and Spanish), and English (Wang Gang). Translated authors writing in both their mother tongue and Chinese are fairly rare and include the Tibetan Pema Tseden and Xinjiang’s Alat Asem, who is Uyghur. You can learn about them in China’s Bilingual Writers: Narrative with a Difference. Fortunately, as indicated by the Quick Guide, a good number of works by ethnic writers have already been translated and published in English and other languages. They include short stories, poetry and epic songs, not just novels, by members of peoples such as the Evenki (reindeer herders of northeast China); the Hui (ethnic Muslims descended from Arabs who resided in the Tang Dynasty capital, Chang’an); the Manchu (whose forebears ruled China during the Qing Dynasty); the Miao and the Yi of southwest China; the Mongolians; various peoples indigenous to Taiwan, such as the Paiwan; the Tibetans, whose works have been widely translated; several Turkic-speaking, traditionally Muslim peoples of Xinjiang, such as the Uyghur, Kazakhs and the Kyrgyz; and several residing mainly in Yunnan, including the Bai and Lahu. 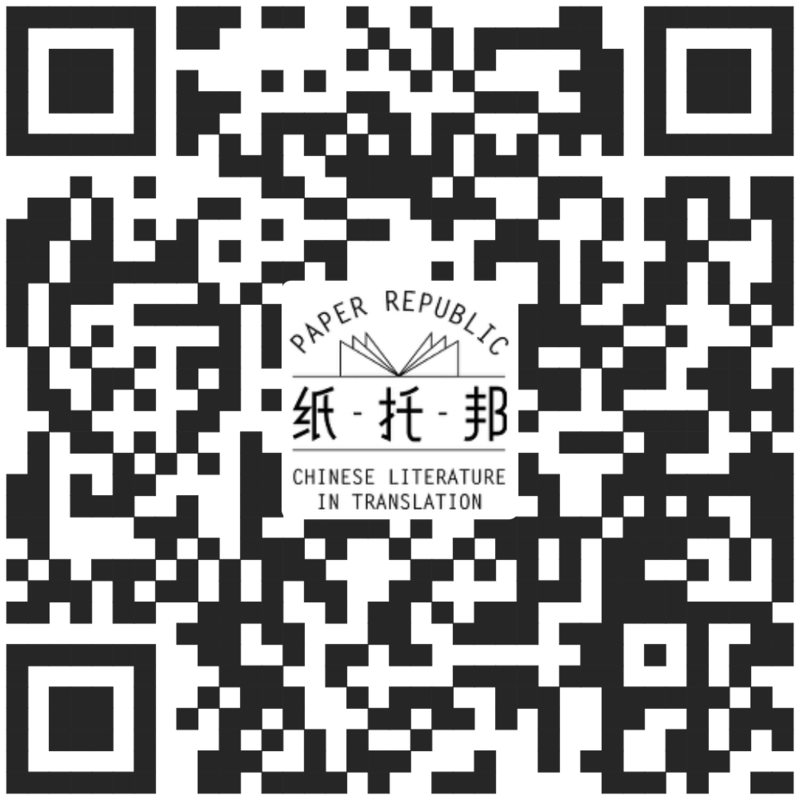 Other web-based sources for information on ethnic writers and their works as well as book reviews include Paper-Republic (English), La nouvelle dans la littérature chinoise contemporaine (French) and My Chinese Books (English and French). Ethnic China: The Web of China Tribes contains much of interest in terms of anthropology, as well as links to various written works. A bright spot for 2017 is the upcoming launch of 13 titles in the “Kaleidoscope: Ethnic Chinese Writers” series, consisting entirely of translated fiction by non-Han writers. A spokesperson at Chinese Translation & Publishing House assures me that they will all be up on Amazon.com as e-books within this year. They include: Poet Na Ye’s Writing Before Sleep; Song Rod, Ye Mei’s collection of short stories; Monk Dance by Jin Renshun; Alat Asem’s novel about Xinjiang’s jade mafiosi, The Mute Visage of Time; Thus Speaks the Narrator, by Zhao Mei; An Eternal Lamb by Yerkesy Hulmanbiek, and works by other authors including Alai, Ayonga, Hu Donglin, and poets Jidi Majia and Luruodiji. See the Quick Guide for more details. Narrated in the first person by the aged wife of the last chieftain of an Evenki clan, The Last Quarter of the Moon is a moving tale of the decline of reindeer-herding nomads in the sparsely populated, richly forested mountains that border on Russia. The birth of a literary work resembles the growth of a tree. It requires favorable circumstances. Firstly, there must be a seed, the Mother of All Things. Secondly, it cannot lack for soil, nor can it make do without the sunlight’s warmth, the rain’s moisture or the wind’s caress. In the case of The Last Quarter of the Moon, however, first there was soil, and only then was there a seed. For this land that turns muddy as the ice thaws in the spring, shaded by green trees in the summer and covered by motley leaves in the autumn and endless snow-white in the winter, is very familiar to me. After all, I was born and raised on this land. As a child entering the mountains to fetch firewood, more than once I discovered an odd head-shape on a thick tree trunk. Father told me that was the image of the Mountain Spirit Bainacha, carved by the Oroqen. I knew the Oroqen were an ethnic minority who lived on the outskirts of our mountain town. They resided in their open-top cuoluozi (teepees) where they could spy the stars at night. In the summer they fished in their birch-bark canoes, and in the winter they hunted in the mountains wearing their parka and roe-deerskin boots. They liked to go horse riding, drink liquor and sing songs. In that vast and frigid land, their small tribe was like a pristine spring trickling deep in the mountains. Full of vitality, yet solitary. I once believed that the masses of forestry workers, those loggers, were the genuine masters of the land, while the Oroqen in their animal hides were aliens from another galaxy. Only later did I learn that before the Han came to the Greater Khingan Range, the Oroqen had long lived and multiplied on that frozen land. Dubbed the “green treasure house,” the forest grew thick and animals abounded before it was exploited. There were very few roads and no railroad. Most paths in the wooded mountains were trodden by the nomadic hunting peoples, the Oroqen and the Evenki. After large-scale exploitation of the forest began in the sixties, bevies of loggers were stationed in the forest and one road after another — for timber transport — appeared, along with railroad tracks. Whizzing along those roads and tracks each day were trucks and trains laden with logs bound for destinations beyond the mountains. The sound of trees falling displaced birdcalls, and chimney smoke displaced clouds. In reality, the exploitation of nature is not wrong; when God left man to fend for himself in the mortal world, wasn’t it to force him to find the answer to survival within Nature? The problem is, God wished us to seek a harmonious form of survival, not a rapacious, destructive one. One, two, three decades passed, and the sound of tree felling quieted but didn’t cease. Continuous exploitation and certain irresponsible, reckless actions made the virgin forest begin to display signs of aging and decline. Like an apparition, dust storms suddenly appeared at the dawn of the new century. At last, the sparse tree coverage and decimated animal population alerted us: We have exacted too much from Mother Nature! It is the hunting peoples living in the mountain forests who have suffered the most grievously. Specifically, I mean those we call the “Last of the Nomadic Hunters”: the reindeer-herding Aoluguya Evenki. Bilingual contents are much clearer for bilingual readers. susan, February 17, 2017, 3:20a.m. susan, February 17, 2017, 3:26a.m. Vocabulary in a Prima Dona lingua changes with market's brand names ... how do we preserve and incorporate ways of living that are unique and self-sustained for a group of people over a long stretch of time is the real challenge here. susan, February 17, 2017, 3:38a.m. Bruce Humes, February 17, 2017, 8:14p.m. Each piece in this series also appears on the GLLI website. Click on the GLLI link at the bottom of each piece to go straight there. Helen Wang, February 18, 2017, 1:17a.m. Since the founding of new China, intra-ethnic relations have evolved. In Revolutionary Stage, to seek the independence of the nation-state, ethnic groups combined their strength to promote national liberation. In the “Cultural Revolution” period, the interactions between Han majority and minorities were naturally politicized, and may thus be termed Political/Ethnic Relations. Interactions based on supply and demand leading to interdependence and competitiveness formed a third phase which may be denominated “Economic Interactions”. As Anticipated Overcoming of Residual Biases emerges, people will share profit, national identity, practical honesty and sense of belonging. Acknowledgements The article is funded by Inner Mongolia Social Science Research Project: “Research on the Construction of Harmonious Ethnic Relations in Inner Mongolia from the Perspective of National Identity”, Item No. : 16B01. susan, February 20, 2017, 6:34a.m. susan, February 22, 2017, 2:31a.m. nunia, February 22, 2017, 3:25a.m.